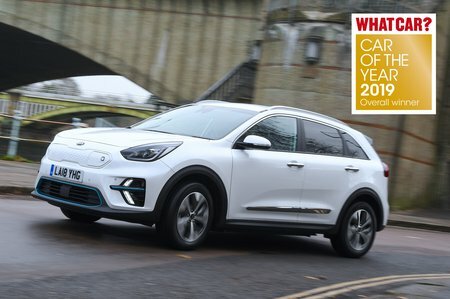 Kia e-Niro Boot Space, Size, Seats | What Car? Despite a standard sunroof that eats into front head room, the e-Niro's high roofline allows enough space for six-footers. Although it isn’t a particularly large car externally, a surprisingly broad interior means you won’t want for shoulder room, either; there’s more than you’ll find in the Hyundai Kona Electric. Elsewhere, there’s a generous-sized glovebox, two cupholders between the front seats and door bins large enough for a 500ml bottle of water. The e-Niro offers significantly more head and leg room in the rear seats than you’ll find in the Volkswagen e-Golf, Nissan Leaf or Hyundai Kona Electric. As a result, those over six feet tall won’t feel hemmed in, even when a similar-sized driver is sitting in front of them. There are also plenty of useful cubbyholes along with decent-sized door pockets. 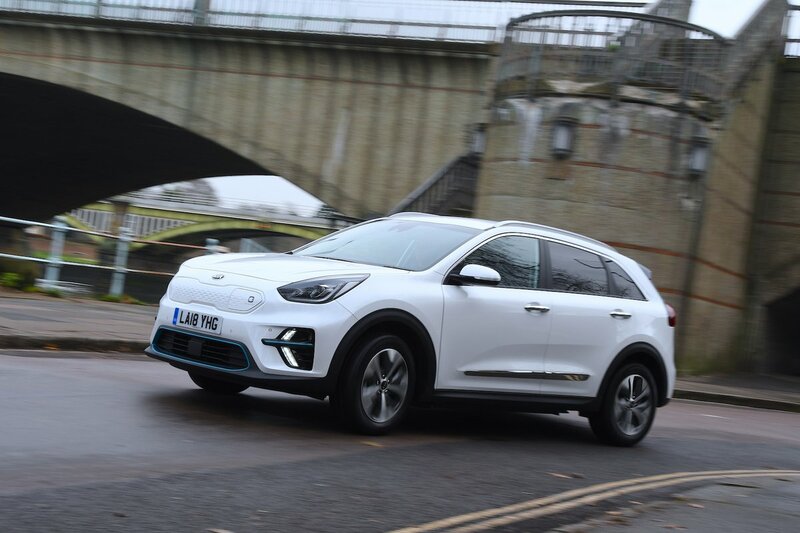 The e-Niro’s rear seats split and fold to the traditional 60/40 ratio and not the more convenient 40/20/40 arrangement, but that's the case in most rivals, including Hyundai Kona Electric. However, unlike in the Kona, folding the rear seats down leaves only the extended load bay floor only gently inclined, so slotting in flat-pack furniture isn't an issue. The rear seats don’t have any more clever tricks, though, such as sliding back and forth or reclining. Despite the extra batteries under the floor, the e-Niro actually has a bigger boot than hybrid versions of the Niro. In fact, boot space is similar to that of other mainstream SUV rivals, including the Nissan Qashqai and Renault Kadjar. The boot is also usefully square in shape and there’s virtually no load lip. For reference, we managed to fit five carry-on suitcases into the boot of the e-Niro – one more than the Hyundai Kona Electric managed but two fewer than the Nissan Leaf could swallow.